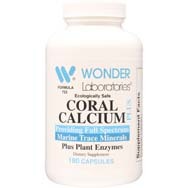 There are two types of coral calcium, per nutritionalsupplementscenter.com: above-sea and undersea, with the latter harvested from the ocean floor via vacuuming processes. Above-sea coral calcium is gathered in a similar manner to how metals are mined: the top layer of soil is removed and the exposed coral then mined and processed before being ground and put into coral calcium supplements. Calcium is not the only compound found in coral calcium; typically, it contains varying amounts of magnesium as well as about 70 other trace minerals in tiny amounts, making coral calcium a mineral supplement with holistic health-inducing properties. 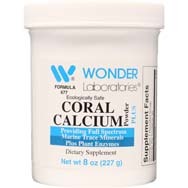 Not only does coral calcium provide a readymade source of calcium key to bone strength and growth, but its health-enhancing capabilities have been linked to blood lipids and blood pressure while relieving symptoms such as headaches, heart palpitations, muscle spasms, limb swelling and even emotional conditions such as anger and anxiety, per newliving.com. So, what exactly is coral, which happens to include ample amounts of calcium? Per wellnessresources.com, coral consists of “marine invertebrates that secrete calcium carbonate to favorably regular the pH of the ocean water that surrounds them. This creates a hard skeleton around them. They get their energy and nutrients from single-cell algae that inhabit their tissues.” Because algae requires sunlight in order to grow, coral tends to be found in shallow clear waters. Note, too, that calcium carbonate isn’t only found in coral – it also is found in many types of rocks, most often occurring in limestone, chalk and granite. But not all calcium carbonate is the same. The coral version of calcium consists of geometrically arranged mineral structures created by a living organism, meaning they are organic minerals with unique properties. 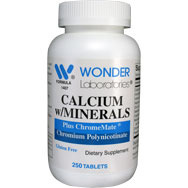 In fact, the 70-plus trace minerals found in coral calcium are similar in proportion in which they are found in the human body, a factor which generally is believed to explain why coral calcium is so beneficial to our overall health. For weight loss. The National Institutes of Health (NIH) once published a review of multiple studies in which the NIH concluded that people whose diets are high in calcium tend to lose greater amounts of weight than those who don’t consume as much calcium. Colon protection. Studies, per nutritionalsupplementscenter.com, have found that coral calcium can protect the colon from some diseases by promoting cell production that helps to protect the epithelial lining of the intestine from diseased cells. Easier absorption. Coral calcium has been shown to be more easily absorbed by our bodies than inorganic calcium carbonate. 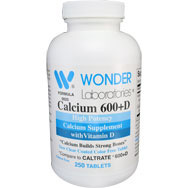 Thus, the calcium from the coral calcium is not only more effective in building strong bones and teeth, it also can enhance neural and vascular health. Counter calcium deficiency. According to the NIH, many Americans suffer from calcium deficiency because of poor eating habits (mainly, diets lacking calcium, among other minerals) and questionable lifestyle choices, such as smoking or drinking coffee in excess – all of which can obstruct our bodies from making proper use of its calcium stores.